Snowday follows in the footsteps of other re-entry programs centered around subsidized employment and food, such as the Reconnect Café in New York and theHomeboy Bakery in Los Angeles. The programs all have the same goal: to keep participants out of jail. In New York State, about 70 percent of former convicts get arrested, incarcerated, or convicted of a new crime. 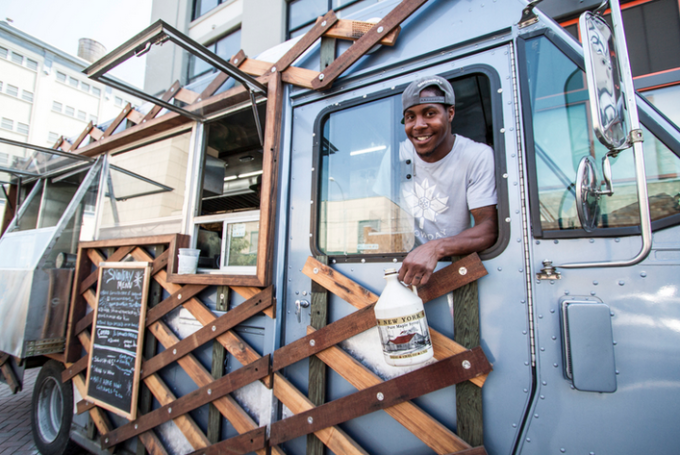 Lexton hopes to bring that number down to 20 percent for the graduates of the Snowday food truck.